Shack, weekender, holiday house, New Zealand’s batch, words that evoke for Australasians a symbol of the more carefree life in this part of the globe. Baby boomers and before, we have memories of escaping on weekends and holidays for a life untrammeled by the city’s constraints of traffic and rules and having to dress up (more or less) to go into town. Such places were rarely works of art, usually a collection of hand-me-down furniture, weatherboard, fibro and corrugated iron, bits and pieces scrounged from the family and friends. It was a barefoot way of life — remember not wearing shoes from the beginning of the long summer school holidays to the end? Catching fish from the jetty for the next meal, waking up early to run down to the beach, shivering slightly in the crisp morning, warming as the sun came up? Of playing shuttlecock or cricket on an improvised pitch until dusk grew too insistent, then ping pong or cards until sheer tiredness sent you tumbling like a puppy into bed? Kids crowded together in bunks, on stretchers, sometimes on the verandah. The adults laughing in that mysterious grown-up way until the cheerful sounds grew fainter as you slid into a dreamless sleep? In Tasmania, such edifices are firmly enshrined as “the shack”. Matthew Newton, the photographer who captured the images here, describes them as “perhaps one of the most endearing symbols of Tasmanian life”. Richard Flanagan, in his introduction, strikes a sober note (no pun intended): “This book is a eulogy for a passing world...the insanity of the recent real estate boom has seen many Tasmanians being exiled from their own coast.” It is, he adds, “a chronicle of a world, I fear, that is coming to an end”. 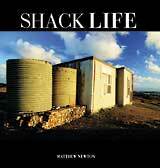 In these days when many a shack is being transformed into a granite, blackbean and marble 'Cottaj Mahal', you can keep a memento of those carefree days with Matthew Newton’s book, Shack Life, ISBN 0 646 4287 0, from newsagents and bookstores.